Manchester’s King Street Festival returned in the early June of this year. The event aims to pay tribute to the original Manchester Flower Show back in the 1950s, and the street is filled with pocket gardens and green plots. 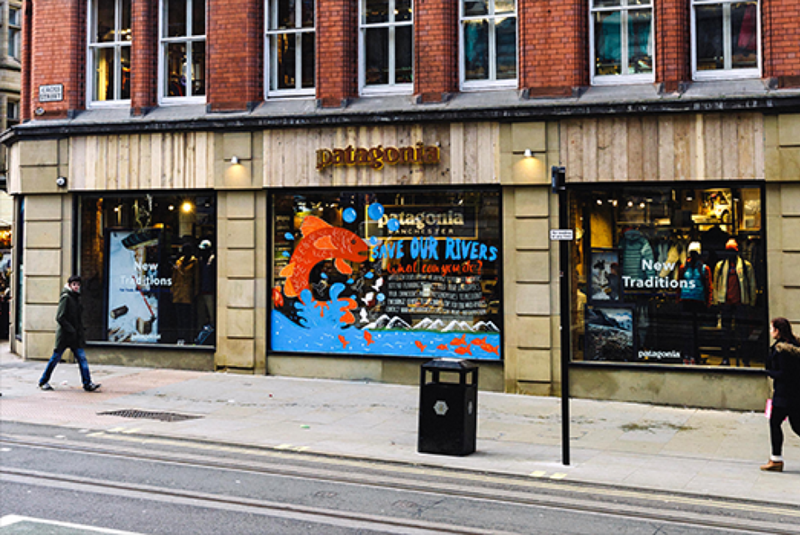 Patagonia, one of our 1% for the planet sponsors, invited us and other charities to this event to engage their community and the public with local charities. Of the charities invited there was – Caroline Riley from the Mersey Rivers Trust, Michael Carnegie who came all the way from South Africa, Alice with Friends of the Earth, and us, The Carbon Literacy Project. Patagonia has a strong track record of connecting different organisations within the sustainability community and we are honoured to be part of it. The purpose of the event was to connect people who have an interest in sustainability with those that know only a little about the topic. In the event, Dave and I spoke to a range of interesting people that came into the shop from all walks of life, including teachers, carers, electricians and marketing people. We found out what the public think about their current lifestyles and carbon footprints, whilst also explaining how Carbon Literacy can benefit them in their different work environments. Most of the people we spoke with were aware of the issues surrounding climate change which was really positive; some of them had already got involved with other organisations and campaigns. Others understood the issue but had done little about it or were not sure how to get involved, so are really curious to find out more about Carbon Literacy and how it could help them. I think it’s important when talking about environmental issues (for us this is specifically climate change and culture change), to get across to the public that those of us working in sustainability are no different to them, and that you can act sustainably whilst positively impacting your life. There is sometimes a preconception that being sustainable means limiting your lifestyle, but there are many benefits that often go unmentioned. It is part of our role to highlight these benefits.